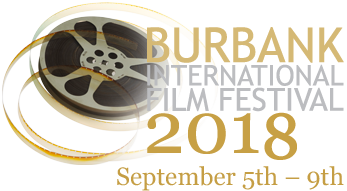 LANSING, Mich. - July 4, 2018 - PRLog -- The Burbank International Film Festival is comprised of talented industry professionals and production executives who work within the studio system. The festival offers over 20 awards in a variety categories, with special award honoring social awareness and diversity in the filmmaking industry. This is the festival that Collective Development Inc. (www.cdiproductions.com) will premiere their midWestern film 'Wild Faith' for the first time on the West Coast. The highly praised film written by DJ Perry and directed by Jesse Low stars Shane Hagedorn, Lauren LaStrada, DJ Perry, Melissa Anschutz, Joe Cipriano, Xylia Jenkins, Dean Teaster, Greg Mason and a slew of amazing supporting actors including industry legends Lana Wood (The Searchers) and Darby Hinton (Daniel Boone). The film deals with a Northern Civil War vet trying to get past the horrors of war and return to civilian life. This process is made difficult by the fact that he's brought a woman of color and her child to live with him in Michigan. The filmmakers have opened a Facebook Event Page for the screening. Discussions are active and on-going with the intent of launching a spin off TV series entitled 'Hastings,' which will follow the continued adventures of the Murphy family.